I feel the wording of this is ambiguous and should be emended as it implies that it may be exclusively for residents and visitors of the named streets, not for all residents and visitors. This should be emended as below, or reworded to indicate clearly it is for the benefit of all residents. 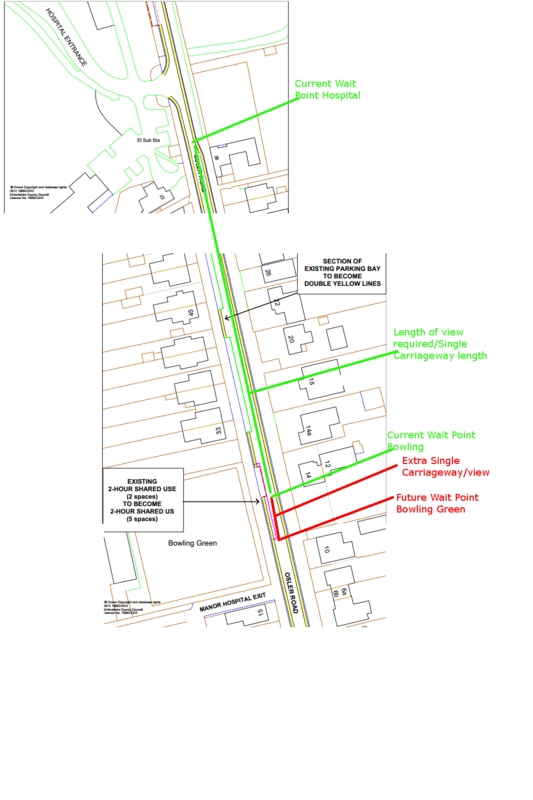 The Croft suffers from parking issues as, or more, acute as the above mentioned streets and will be an important beneficiary of the proposed changes – the above as it stands may be used as justification for future unwelcome changes. The addition of three extra places at the bowling green will increase an already very long stretch of single carriageway, where drivers at either end of the GREEN line along Osler Road currently can only just see each other – adding three more places will make this even further as shown in RED. A driver at the bowling green will not know whether the new DYLs at 45/47 are free or not prior to entering the single carriageway part. Consideration should be given to designing this One Way (North) except buses and residents, which would also improve road safety on the Osler Road/London Road junction. 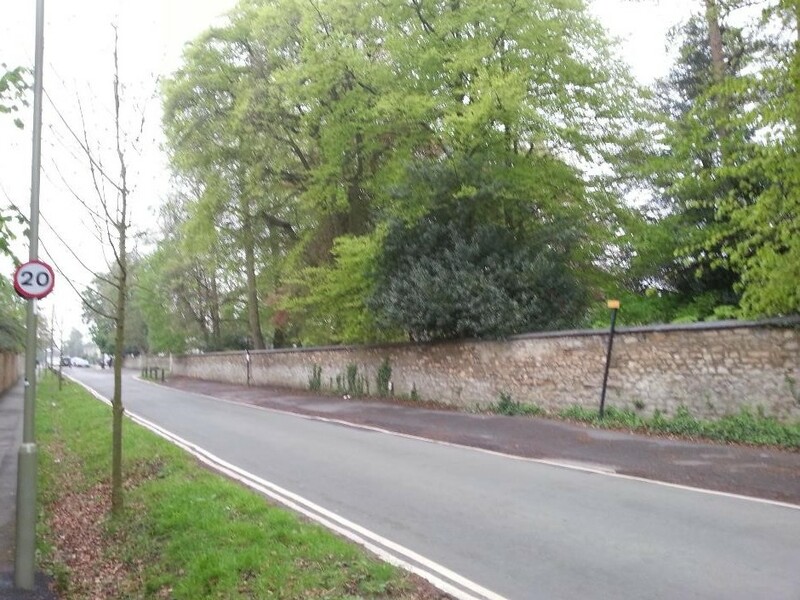 The above proposed conversion to residents parking is very welcome and necessary, but it is located in the Old Headington Conservation Area, and will impact on the view of the wall (Headington’s Lietmotif) therefore formal steps must be taken to add landscaping such as as trees, potted plants, and flowerbeds to enhance and preserve the conservation area. Signage must be as unobtrusive as possible. 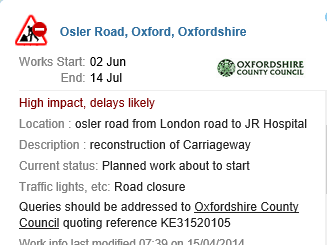 The Osler Road roadworks scheduled to start in June (below) are the opportunity to address the above and to remediate the incorrectly installed lampposts in this stretch in the Conservation Area which need to have the lamps changed to lantern style and be painted black as per others in the area. This area has extremely poor natural surveillance with no properties overlooking and only infrequent traffic in the evenings. Formal consultation and measures in conjunction with the police need to be taken to address the above. Some loose limits should be placed on weekend parking for non residents eg: one day max. The no waiting thick yellow line outside Londis (South Side, West) is regularly ignored, causing chaos as buses that need to stop at the bus stop cannot do so if full, and cannot pull over to wait, causing traffic to bank up behind as London Road and the junction are completely blocked. It is surprising this urgent issue is not in the order.